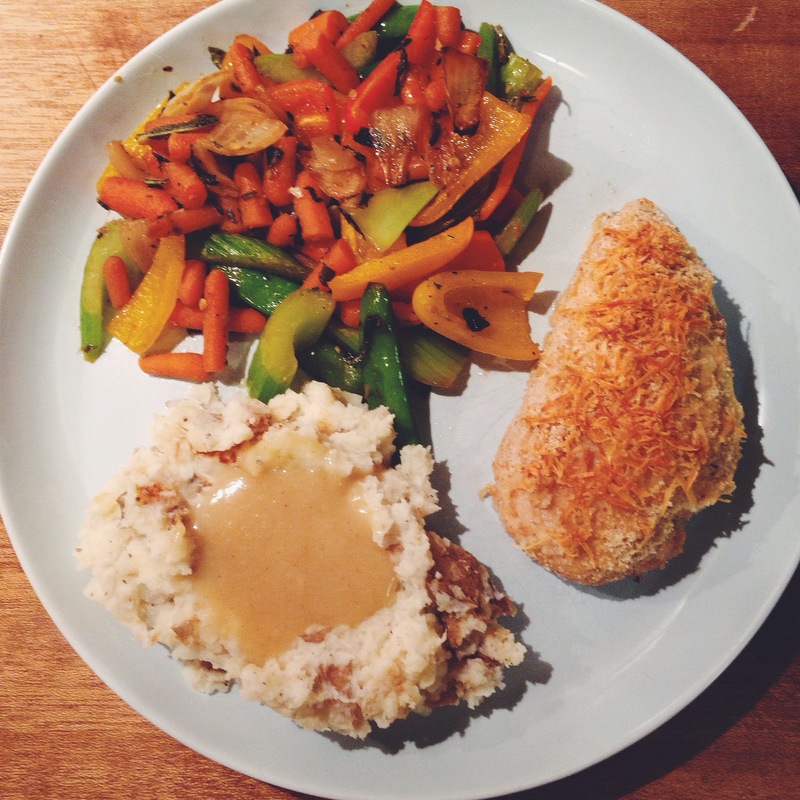 On the menu for tonight : a roasted vegetable melody, mashed potatoes with gravy and chicken parmesan! 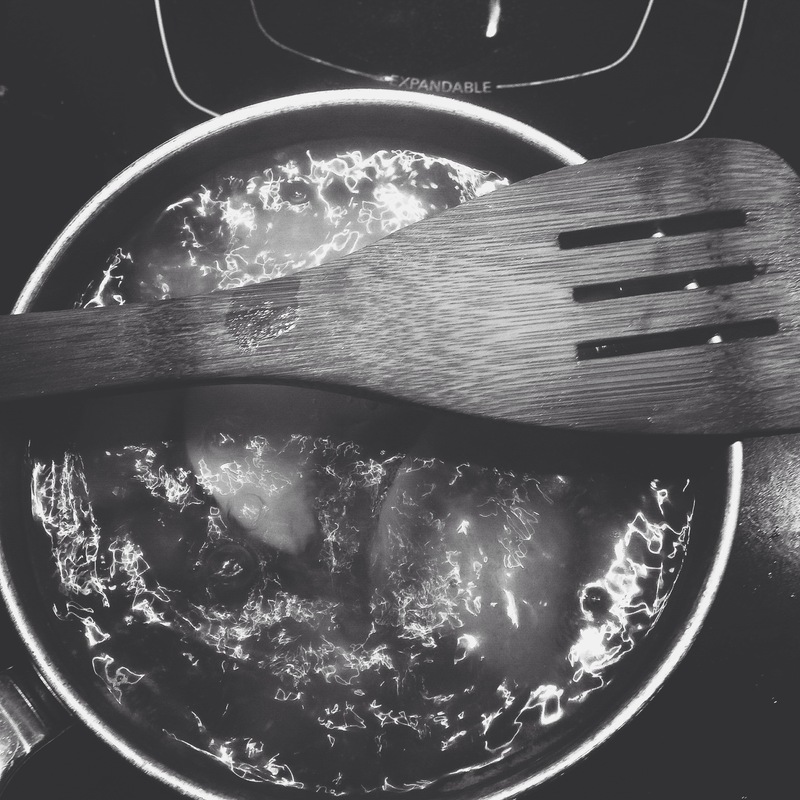 It’s such an easy meal to make and quick too. If our oven was working properly I would say 30mins but it was a little longer tonight because the oven doesn’t heat up / stay at a constant temperature. Any ways here are the directions, I wouldn’t call it a ” recipe” because there aren’t any measurements. Who has time to measure?! 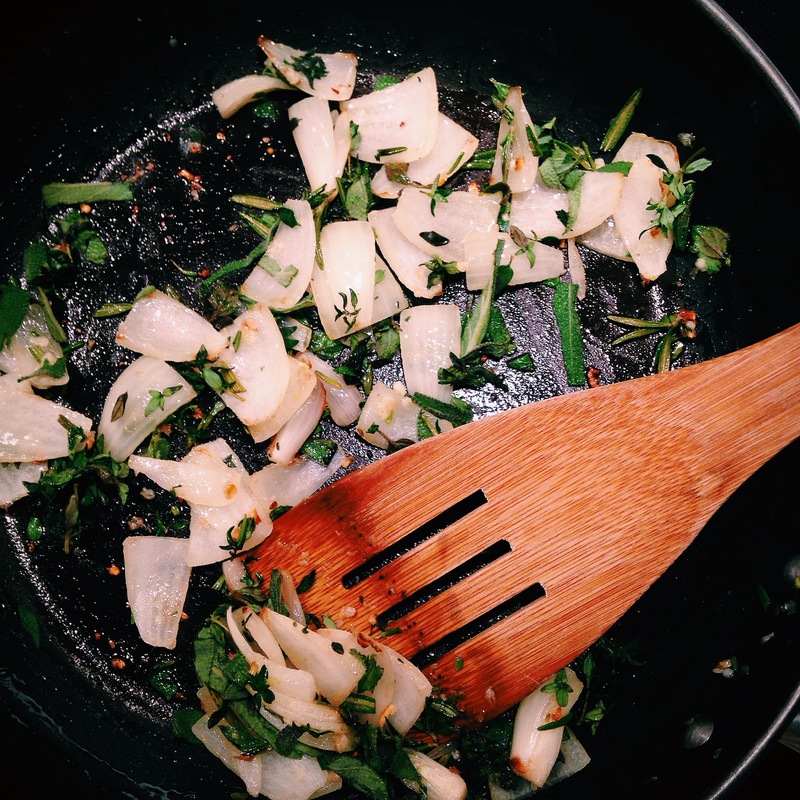 I heated up a pan with some olive oil and added the garlic , minced, and onions , chopped up. 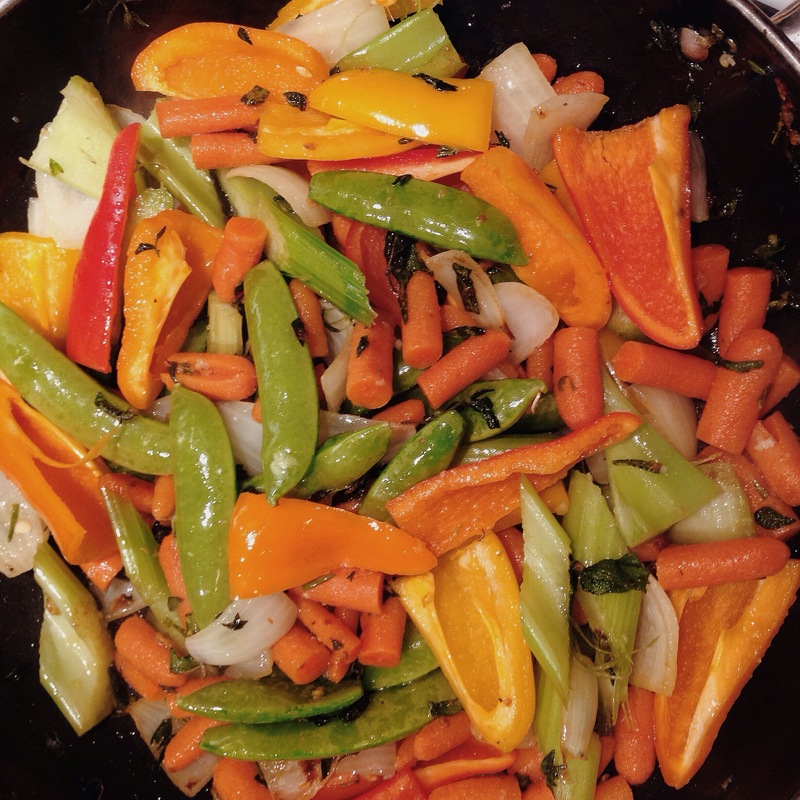 I then added all of the herbs and veggies. I cooked that until the vegetables were soft but still had a nice crunch! 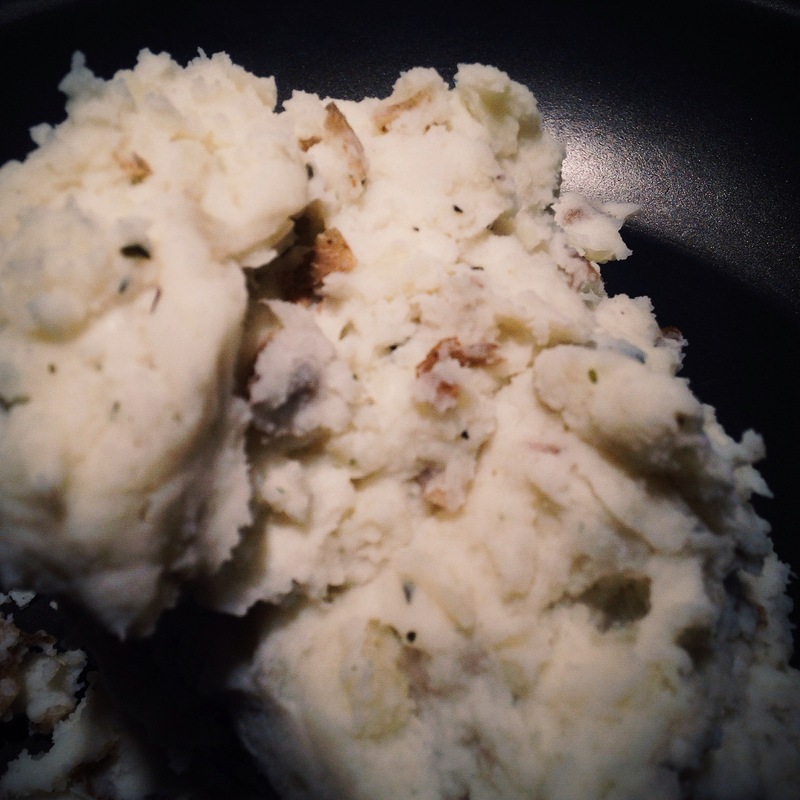 Mashed potatoes are pretty simple to make. 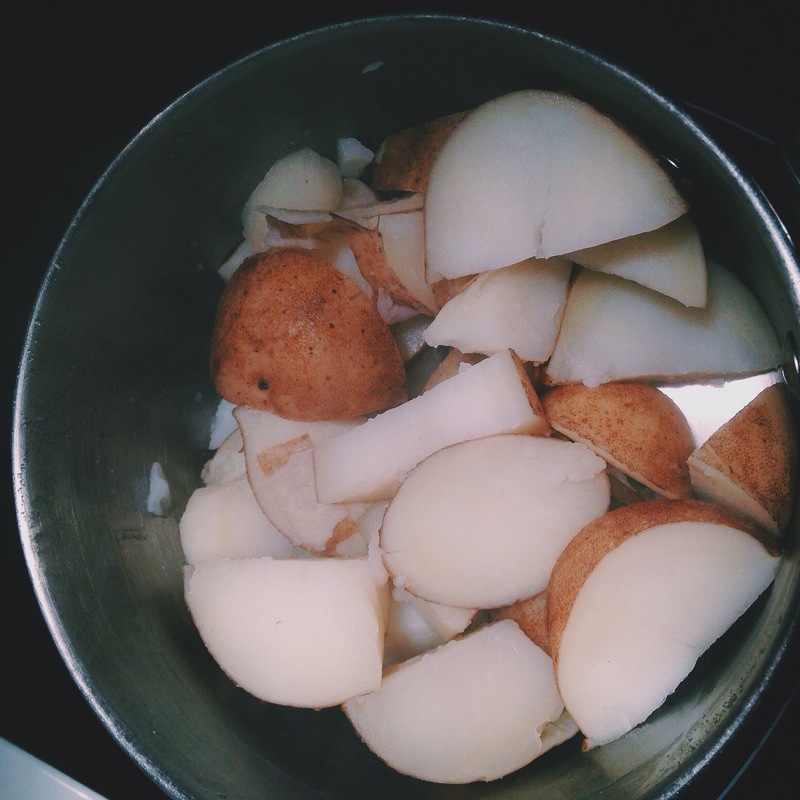 Put chopped potatoes in a pot if water and cook until you can stick a fork into them and they slid off. Throw in some cooking cream ( enough to suite your taste, we used the herb & garlic flavour ) and some milk to make everything mix together. Normally you could stop there but we like to add a little crunch and threw them into a pan and cooked until the outer sides had a nice golden tone. 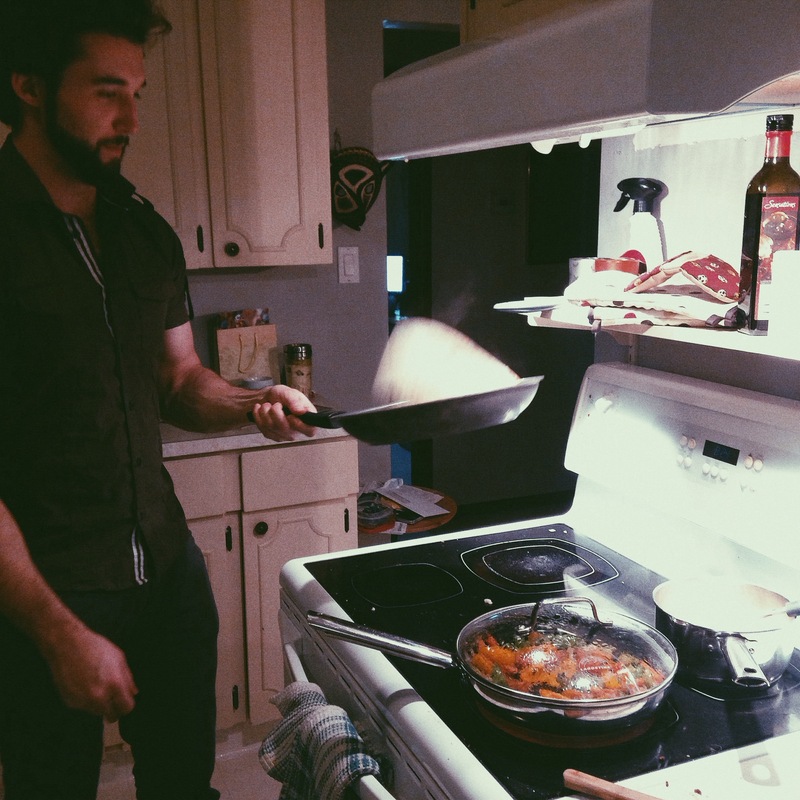 The boyfriend showed off his cooking skills by flipping the potatoes in the pan. – swoon – so Impressed! With the gravy, just follow the instructions on the packet! Mix together some mayo and whatever seasoning you like. We used garlic powder and some Cayenne pepper. Put your chicken into an oven safe dish and cover with your mixture. 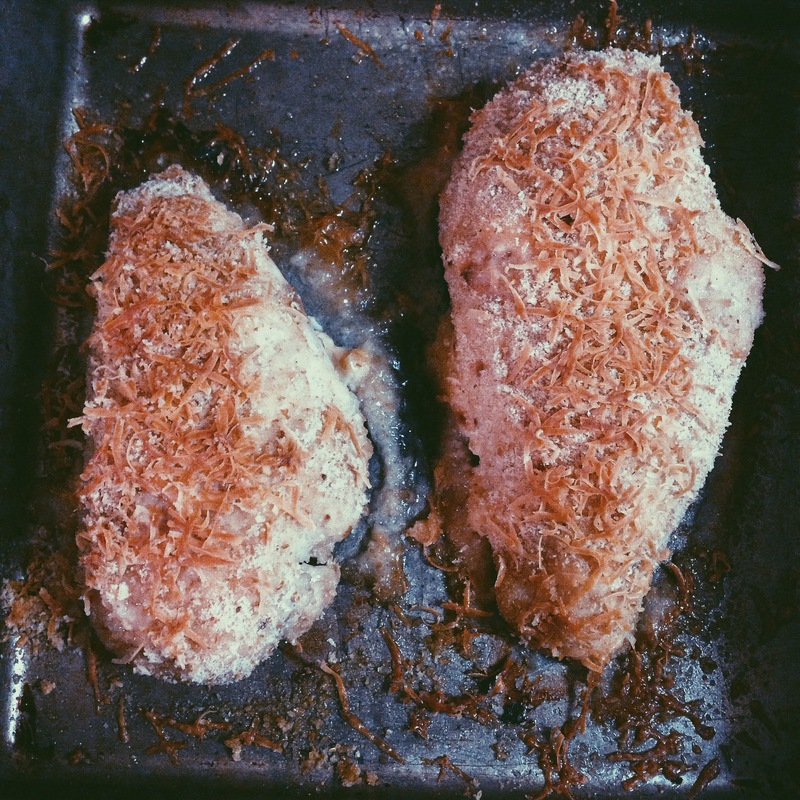 Sprinkle some bread crumbs and cheese on top. Put in the oven and cook until done. Normally 30mins but use a thermometer to make sure it’s cooked thru. This dish is so easy to make and it’s DELICIOUS!! It’s one of our favourites. Try it out!! Let me know what you think or if you change anything, how did it work? !